The opening shot is a kid cradling his dying brother in a dark city street with the tearful promise that that he’ll become a police cop, the best. Cue police academy, rookie beat, curmudgeonly partner, the first case. Thrills, spills, betrayal and a father complex ensue in this rollercoaster parody. Will the partners survive the pressure? What new perversion will the station captain reveal? What’s the connection with The Simpsons? And who is the evil Mexican cat? 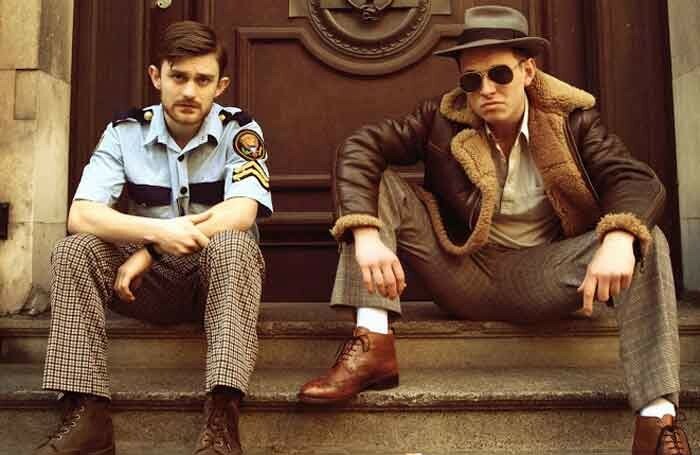 Between them, Zachary Hunt, Nathan Parkinson and Tom Turner, armed with nothing but enviable stamina and a box or two of manky props, somehow concatenate a thousand 70s police movie/TV plotlines, back stories, through stories and subplots. Milking every cliche in the manual, each spoofed villain, cop or civilian seems to have a troubled past, most sport moustaches and everyone has a hat. You’ve seen this sort of thing a million times before, so what makes this show so special? Well, for a start the writing hits an impressive high as trashy exploitation goes, yet there chugs under it a fully fledged script with a solid arc that allows the trio to develop a gallery of throwaway characters into convincing, plot-driven portrayals while still earning the laughs. They’re a supremely generous ensemble too, putting in supercharged performances with a (possibly unintended) physicality that puts them firmly in Total Theatre territory. And their connection with the audience is unbeatable.